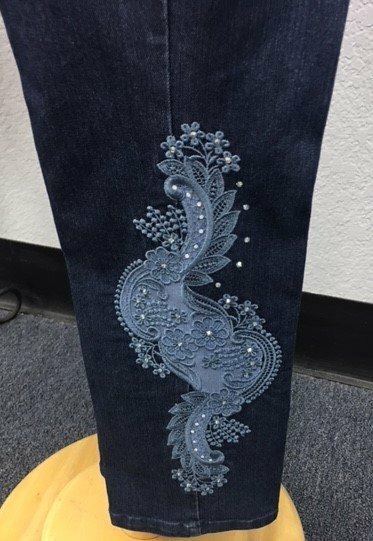 Turn your Plain Jeans into a high-end boutique using embroidered lace insets. So take time to join in the fun for this all day class. This design can be used as well with leggings.